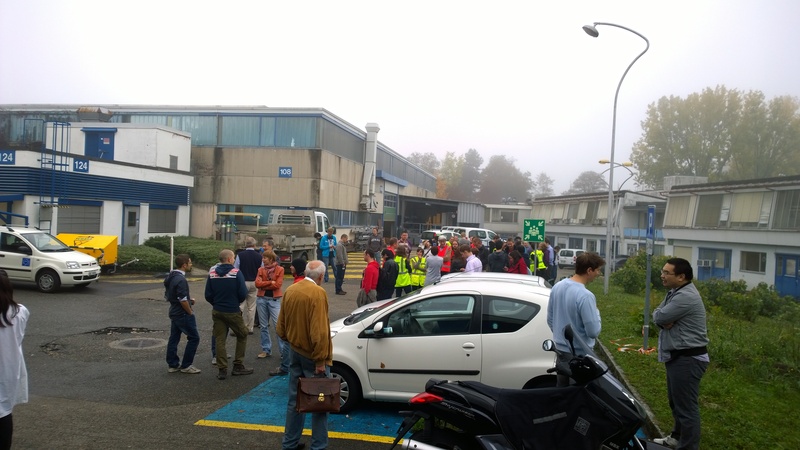 On 14 October, a large-scale evacuation exercise took place. Ten buildings (1-2-3-4-50-51-52-53-58-304), with a total capacity of almost 1900 people, were successfully evacuated. The decision to carry out an evacuation exercise for this group of buildings was taken following an evaluation of fire hazards in 2012, which highlighted in particular hazards associated with the interconnected layout of the buildings, which could exacerbate the propagation of smoke in the event of fire and make it difficult for people to find their way around in an emergency.